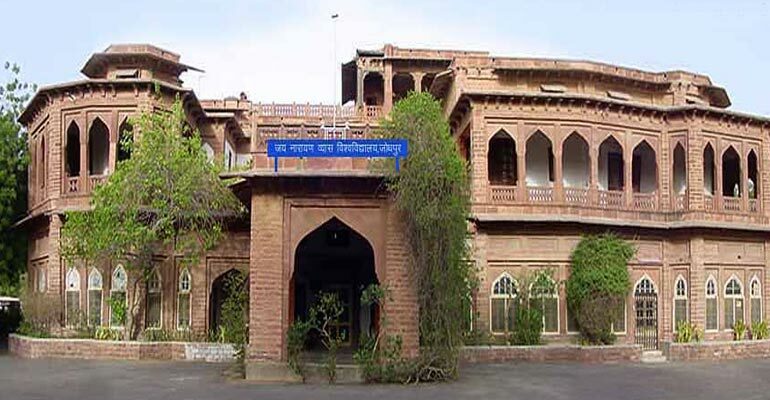 The University is proud of the fact that it has recognized several National Institutes located in Jodhpur for pursuing research leading to Ph.D. degrees. Three other centers working in the fields of Art, Culture , History and Heritage are also recognized by the University. This is the only residential University in the State of Rajasthan, catering mainly the needs of students of western Rajasthan (the Marwar). Since, this University is located in the great Indian Thar Desert, its R&D activities centered on heritage, society and challenges of the region. This is the Western most University of the country and imparts education and conducts research in border areas neighboring Pakistan. It is our endeavor to provide education not only to citizens of the Desert/border Districts but also to the wards of Defence/Paramilitary forces and other Organizations which are working in strategically important sectors of the country. B.E. : Computer Science & Engg. Shah G.L. Kabra Teacher’s Training College also existed as private college at the time of foundation of the University. This is now one of the affiliated colleges of the University.